ANALYSIS ­– With the Middle East in turmoil, the “Party of God” is transforming from an anti-Israel militia to a regional actor heavily invested in the Syrian civil war and resembling a conventional army. Hezbollah, the “Party of God,” is a Lebanese Shia terrorist group that formed to violently oppose Israel’s 1982 invasion and subsequent occupation of south Lebanon. Israel’s objective had been to root out Palestinian terrorist organizations operating from Lebanese territory, but in a twist of irony, the Jewish state’s incursion helped to create an enemy far more capable than any Palestinian fighting force. Today, Hezbollah represents the most immediate threat to Israel’s national security. Its goal is no less than the elimination of Israel, even though the Israeli Defense Forces (IDF) withdrew from Lebanon in 2000 under heavy Hezbollah pressure. Instead of disarming after Israel’s withdrawal, Hezbollah grew in military strength and entered the political realm, where it has achieved marked success. 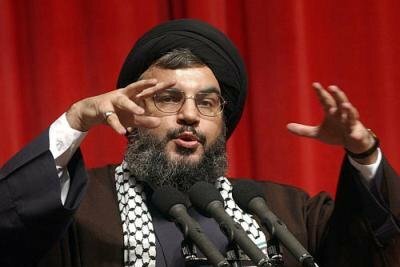 Led by Secretary General Hassan Nasrallah, Hezbollah now wields considerable influence in Lebanese politics while remaining an independent armed fighting force deployed in Syria, and to a lesser extent in Iraq and Yemen, in defence of embattled Syrian President Bashar al-Assad. Its forces are more formidable than the Lebanese Armed Forces (LAF), the national army of Lebanon. Hezbollah is funded and armed by Iran, and takes orders from Iran’s Supreme Leader Grand Ayatollah Ali Hosseini Khamenei. The organization plays a crucial role in exporting the radical Shia ideology of Iran’s 1979 revolution and belligerently challenging Western, Israeli, and Sunni Arab interests in the region. But the group’s reach is truly global; it has conducted terror attacks against Jewish, Western, and Israeli targets all over the world. Hezbollah cells, operating far from Lebanese soil, are involved in money laundering, illicit drug schemes, and other organized crime rackets. In February 2016, the US Drug Enforcement Agency, working with its European counterparts, made several arrests targeting Hezbollah’s External Security Organization Business Affairs Component (BAC). The DEA contends Hezbollah was working with prominent Latin American drug cartels to transfer millions of dollars’ worth of cocaine to Europe and the U.S. in order to fund its military operations and the purchase of weapons. Hezbollah’s foray into Syria in 2011 was ostensibly based on a need to protect Shia shrines, but it soon became clear the mission was to prop up Assad and preserve the “Resistance Axis” of Hezbollah, Iran, and the Assad regime. If a government unfriendly to Hezbollah were to emerge from the Syrian war, Hezbollah’s vital Syrian supply lines to Lebanon – which begin in Iran – would be cut and the group would face a crisis of existential proportions. Thus, Hezbollah has much at stake in Syria and will continue to dedicate the majority of its manpower and resources to assist Assad against the myriad rebel and global jihadist groups intent on toppling his autocratic regime. Hezbollah’s lesser footprint in Iraq and Yemen is partly explained by the fact that it doesn’t require victory in those countries to keep its vital supply lines intact. Those interventions and its destabilization attempts in Bahrain are more for the benefit of Hezbollah’s patron state, Iran, which aims to leverage sectarian divisions and instability to reshape the Middle East to its advantage. With Hezbollah focused on Syria and the IDF preparing for what many see as an inevitable continuation of the 2006 Lebanon War, Israelis are watching cautiously. If Israel can be said to have “won” the 2006 war, the victory was Pyrrhic. The IDF lost more than 100 soldiers during Hezbollah’s month-long rocket barrage, and Hezbollah remained relatively intact after the conflict ended. While Hezbollah’s claims of victory rang hollow, the war did tarnish the prestige of the IDF. Following the conflict, the Israeli government initiated an inquiry by the Winograd Commission to identify mistakes and learn lessons from this costly war against what had previously been considered a ragtag terrorist militia. The IDF, it is thought, will not countenance another virtual stalemate. Israeli defence officials have indicated that disproportionate force will be used in the next conflict with Hezbollah. Experts agree that the Israeli civilian death toll will be much higher in any future confrontation. Due to Hezbollah’s human-shield tactics, which make it likely that any future war zone will include southern Lebanon’s residential areas, far more innocent lives will probably be lost on the Lebanese side as well. Considering Hezbollah’s enhanced capabilities and the IDF’s determination to remove Hezbollah from its threat matrix, it is almost a certainty that both sides will incur more battlefield casualties than in any previous confrontation. While neither party seems interested in full-scale war at the moment, the prospect of the Syrian Golan Heights becoming a second front from which Hezbollah could attack Israel is one that Israeli Prime Minister Benjamin Netanyahu would consider intolerable. If and when the focus of Syria’s civil war shifts to the south of the country, where rebel factions, global jihadist groups, and Hezbollah and regime forces control various areas, Netanyahu’s resolve will likely be tested. Even now there is low-level warfare between Hezbollah and the IDF, with the IDF using air strikes to assassinate Hezbollah leaders and to attack Hezbollah convoys and weapons caches in Syria. It has also been reported that the IDF is entering Syria by land into the demilitarized zone (DMZ) where UN observers have left their posts. So far, Israel is winning on the Golan Heights front. The IDF has a working relationship with Syrian rebel forces close to the border and at one point was treating wounded fighters inside Israel so they could return to the fight against Assad and allied forces such as Hezbollah. In 2015, Hezbollah killed two IDF soldiers and is currently attempting, through its Unit 133, to infiltrate the West Bank to mount attacks against the Jewish state. Recently, explosive devices were found in the northern Israeli town of Metula, allegedly smuggled into Israel by Hezbollah for use in attacks against Israelis. As the Obama Administration comes to a close in the United States, analysts are wondering whether the next American president will heed calls to use force against Assad and, by implication, Hezbollah. While Hezbollah continues to wield considerable political influence in Lebanon and maintains a level of popularity due to its various charities and hospitals, there has been some domestic blowback from Lebanese intellectuals, academics, journalists, and the Party of God’s political opposition, i.e. the Future Movement and the March 14th Alliance. Hezbollah’s core Shia constituency remains somewhat intact, but even some Shia have denounced Hezbollah’s adventurism in Syria. For example, the predominantly Shia Lebanon Option Party, headed by Ahmad al-Asaad, is critical of Hezbollah’s direction. Shia clerics such as Ali al-Amine and the late Hani Fahs and intellectuals like Mona Fayyad, a Shia professor at the Lebanese University, have also spoken out against Hezbollah. Hezbollah claims that were it not fighting ISIS and other global jihadists in Syria, those groups would infiltrate Lebanon. 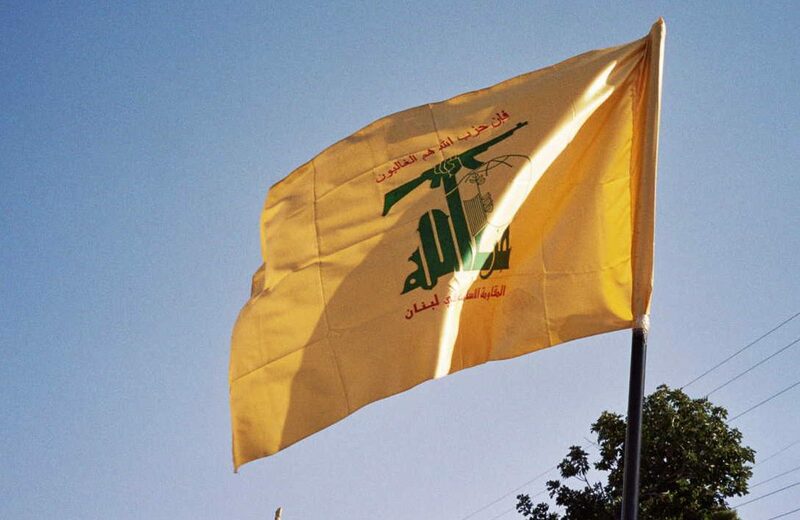 The counterclaim made by Hezbollah’s emboldened and increasingly diverse domestic opponents is that Hezbollah’s interference in Syria has put Lebanon in the crosshairs of the “taqfiri” jihadist groups operating in Syria. Recent bombings like the one in al-Qaa are cited by way of example. Political opponents of Hezbollah such as Saad Hariri haven’t pulled punches in their condemnation of the organization’s interference in a foreign war. Hezbollah commanders are being tried by the United Nations Special Tribunal for Lebanon (STL) for their alleged role in the 2005 assassination of Hariri’s father, the former Lebanese Prime Minister Rafik Hariri. There is a sectarian component to the Syrian situation as well. 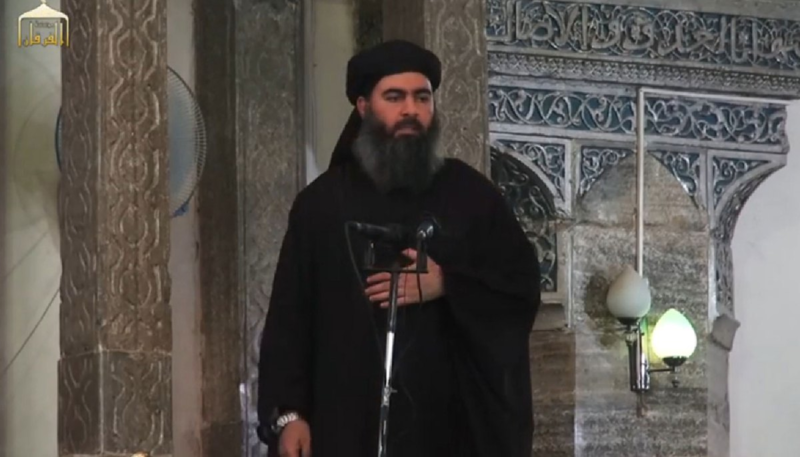 Most Syrians – about 60 per cent of the population – are Sunni. Apart from the jihadists of far-flung origin representing ISIS and Jabhat al-Nusra, the rebels that Hezbollah has spent most of the last few years fighting are Sunni Arabs from Syria. Many Sunni Lebanese see these rebels as conducting a just war for Syria’s liberation from a minority-ruled dictatorship (Assad is Alawite, a Shia offshoot deemed heretical) that regularly commits human rights abuses and war crimes, including chemical attacks, barrel bombings, and the targeting of Syrian civilians and vital infrastructure, including hospitals. In short, many Lebanese, especially the Sunni population, see Hezbollah as fighting on the wrong side of the war. Violent Sunni reactions were evident in Sidon in 2013 when followers of Sunni Sheikh Ahmad Assir attacked an LAF checkpoint due to the army’s complicity with Hezbollah. Hezbollah also has to deal with Palestinians in Lebanese refugee camps like Ain el-Hilweh, some of whom support the Syrian rebellion and are susceptible to radicalization by Sunni Islamist and taqfiri networks. To date, Hezbollah’s support of Assad hasn’t had a substantial impact on Hezbollah’s strong position within the Lebanese government or its ability to recruit young Lebanese into the organization. But that may change. Many observers blame Lebanon’s two-year presidential vacuum on Hezbollah, which has employed boycotts to stall a vote until its preferred candidate, the pro-Assad Michael Aoun, can run unopposed. As will be demonstrated below, many regional efforts to rein in Hezbollah are broad measures that will affect all Lebanese. As the effects of these measures materialize – especially economic restrictions – more Lebanese are likely to find Hezbollah’s actions contrary to Lebanese national interests. This will be a problem for Hezbollah, whose legitimacy has always been based on support for the Palestinian national movement and resistance to “Israeli aggression” in Lebanon. An unintentional rebranding of The Party of God as a Shia expeditionary force that fights for Iranian interests in Syria and elsewhere is already proving far less popular as an organizational platform. Israel’s increased vigilance on its northern borders – both with Lebanon and the Syrian Golan Heights – stems from an expectation that a “post-Syria” Hezbollah may try to regain its former status by provoking Israel in such a manner that a conflict will ensue. In the wake of Iran’s expansionism and plans for regional hegemony, Sunni Arab states – led by Saudi Arabia – have identified Hezbollah and Lebanon as targets for sanctions. In February 2016, Saudi Arabia reneged on a $4 billion aid package to Lebanon, partly because of the country’s refusal to condemn attacks on the Saudi embassy in Tehran. This money was intended to beef up LAF capabilities so as to remove one of Hezbollah’s pretexts for not disarming, i.e. that the LAF is incapable of being the sole army of Lebanon and that Hezbollah is needed as a “resistance” force that complements the national armed forces against foreign threats. While Saudi Arabia’s denial of aid was intended to pressure Hezbollah and induce Lebanese politicians to intensify calls for Hezbollah to disarm, the effect was the reverse, helping to cement Iran’s grip on Lebanese politics. Multinational organizations in the Middle East followed Saudi Arabia’s lead soon after the aid package was withdrawn. The six-member Gulf Cooperation Council (GCC), headed by Saudi Arabia, labelled Hezbollah a terrorist organization in March 2016, a designation which the 22-member Arab League quickly applied as well. The 57-member Organization of Islamic Cooperation (OIC), which convened in April 2016, condemned Hezbollah for supporting terrorism not only in Syria, but also in Yemen, Iraq, and Bahrain. Such actions isolate Hezbollah in the abstract while frustrating its ability to generate revenue and public support across the Arab world. The Gulf States have implemented measures that not only blacklist Hezbollah-affiliated businesses and personnel but also hurt innocent Lebanese working in the Gulf and in Lebanon’s tourism industry, which is heavily reliant on Gulf travellers. The United States has not been absent from such efforts; nor has Europe and nor have other Western-oriented countries such as Australia. The American designation of Hezbollah as a terrorist organization predated the group’s involvement in Syria. But in December 2015 the United States went further, with enactment of the US Hezbollah International Financing Prevention Act of 2015, the purpose of which is to prevent Hezbollah and associated entities from gaining access to international financial and other institutions. In June 2016, when the Lebanese banking system began closing down Hezbollah accounts, prior threats made by Hezbollah were realized. On 12 June a bomb exploded in front of the Blom Bank in Western Beirut – a signal to Lebanese banks that implementing the U.S. legislation would carry a lethal price. Most of the estimated $200 million a year in Iranian support for Hezbollah will likely continue to get through to Hezbollah, but American efforts will have some effect as Hezbollah does use the Lebanese banking system. The US strategy also strengthens a widespread belief in international financial markets that it is unwise to do business with Iran, let alone its proxy force, Hezbollah, because of the risk of unintentionally violating remaining US sanctions against Iran. Implementation of the Joint Comprehensive Plan of Action (JCPOA), the international deal to ensure a peaceful Iranian nuclear programme, had been expected to spur Iran’s economy, but no boom has occurred. The country’s currency is trading at very weak levels and there has been little foreign investment or financing. Moreover, there is still rampant corruption in the Iranian economy. Due to its burden in Syria, Hezbollah is taking a hit financially. It provides monetary benefits to families of fighters killed in action, a rising number, and pays wages to the tens of thousands it employs. Hezbollah has been unable to uphold such obligations. Despite rumours of an impending Hezbollah financial collapse, even US Secretary of State John Kerry admitted that some of the money released under the JCPOA may reach Hezbollah. Iran may use most of the funds to support much-needed domestic projects, but as Nasrallah recently said: “As long as Iran has money we will have money.” That does not count the money the Party of God receives from the organized crime rings it operates around the globe. While the scope of Hezbollah’s transnational crime revenue is difficult to state with specificity, it is likely in the range of $300 million annually, making its overall budget approximately $500 million per year (assuming $200 million from Iran). It is widely held that there are about 7,000 Hezbollah fighters in Syria at any given time. It is generally accepted that more than 1,500 have been killed so far in Syria, with five times that many injured. Overall, the organization’s estimated full-time fighting force is 21,000, with another 24,000 reservists, bringing the total to 45,000. Its youth movement, the Imam al-Mahdi scouts, is said to have recently held a graduation ceremony for 70,000 children ready to be fully incorporated into the organization upon adulthood. More of a loss to Hezbollah than the approximately 1,500 fighters killed in action may be the significant death toll at the top of its command structure, including top military commander Mustafa Badreddine. Hezbollah is looking more and more like a conventional army as it conducts its military campaign in Syria. It has the benefit of working with Assad’s Syrian Arab Army (SAA), the Iranian Revolutionary Guards Corps (IRGC), the al-Quds Force headed by the now famous General Qassem Soleimani, and Iranian Green Berets from Iran’s traditional army that haven’t been called upon since the Iran-Iraq War of the 1980s. But perhaps the most transformative aspect of Hezbollah’s evolution from an irregular terrorist militia to a medium-sized conventional army is its consistent contact with the Russian army. As reported in the Times of Israel: “[S]ince Russia began its open military activities in Syria, Hezbollah fighters are also learning Russian methods of war, becoming familiar with advanced Russian weaponry, coming to understand the latest Russian technologies, and in some cases, actually fighting alongside Russian special forces.” Its forces are now accustomed to fighting alongside tanks and artillery, and are able to coordinate with air support. Finally, Hezbollah’s ability to replenish its numbers appears largely unaffected by the war in Syria. While the Israeli Air Force (IAF) – with tacit permission from Russia – continues to destroy “game-changing weaponry” destined for Hezbollah, it is highly unlikely that the IAF is completely successful in this regard. Hezbollah is now thought to possess fourth-generation Kornet anti-tank missiles and unmanned aerial vehicles (UAVs). Iran’s recent acquisition of an out-dated but potent S-300 air-defence system from Russia has raised fears that the system may fall into the hands of Hezbollah and thus severely damage the Israeli military’s “qualitative edge” by denying the IAF the absolute rule of the skies it now enjoys. The US recently provided Israel with F-35 fighter jets whose stealth technology may allow the IAF to elude the S-300 surface-to-air system to some degree. Israel’s other main worry is that Assad will hand over to Hezbollah some of Syria’s chemical weapons arsenal, which appears to have been used after a Russian helicopter was hit by rebels in Idlib province. Nasrallah is on record as a proponent of chemical warfare. On one occasion in early 2016, he stated that in the next war with Israel Hezbollah will target Haifa’s ammonia plant to cause mass destruction on par with that of a nuclear weapon. Since the 2006 Lebanon War between Israel and Hezbollah, the Party of God drastically increased its missile and rocket arsenal in an effort to deter and destroy the Jewish state. There are more than 100,000 lethal projectiles aimed at Israel, including thousands of fairly accurate mid-range weapons with larger payloads that can hit anywhere inside the Jewish state. In its enclave in southern Lebanon, Hezbollah has transformed residential neighbourhoods into disguised military installations – completely aware that Israel would be forced to kill large numbers of Lebanese civilians to defeat Hezbollah and that an air campaign would be inadequate to remove the Hezbollah threat. IDF boots on the ground would play into the hands of Hezbollah, which could respond with guerrilla tactics to help level the playing field in an otherwise asymmetrical war. While Israel possesses a highly capable navy with robust sea-based defence systems such as the anti-missile “Iron Dome”, Hezbollah has acquired supersonic long-range radar-guided Yakhont anti-ship missiles as well as other weapons for attacking Israeli assets in the Mediterranean, where the country’s precious offshore natural gas rigs are located. The IDF admits that if Hezbollah were to mount a well-planned cross-border raid, as it claims it will do, Hezbollah may succeed in taking temporary control of villages in northern Israel. Israel is now building a wall along the Lebanese border to prevent such a Hezbollah operation. Hezbollah is encumbered in Syria, but does not find itself in a quagmire just yet. 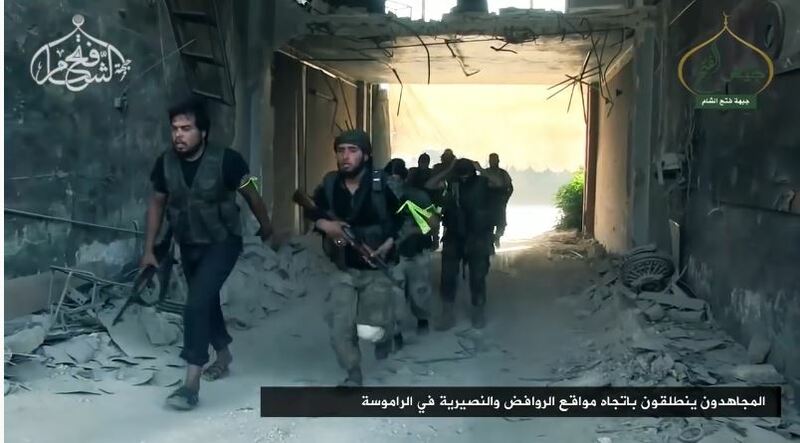 The battle for Aleppo, , has begun and the outcome is far from certain. Recently, rebel forces were able to break a regime siege and thereby keep their supply lines intact. Moreover, in a battle southwest of Aleppo in late June, Hezbollah suffered its most deadly defeat yet, indicating that the group may not be acquiring battlefield expertise as quickly as some experts have opined. In its quest for regional hegemony, Iran’s goal is to extend its sphere of influence and the so-called “Shia crescent” contiguously westward to the Mediterranean and southward to the tip of the Arabian Peninsula. To help Iran meet this objective, Hezbollah assembled a special force known as Unit 3800 to assist Shia militias fighting in hot wars across the Middle East, including Iraq and Yemen. 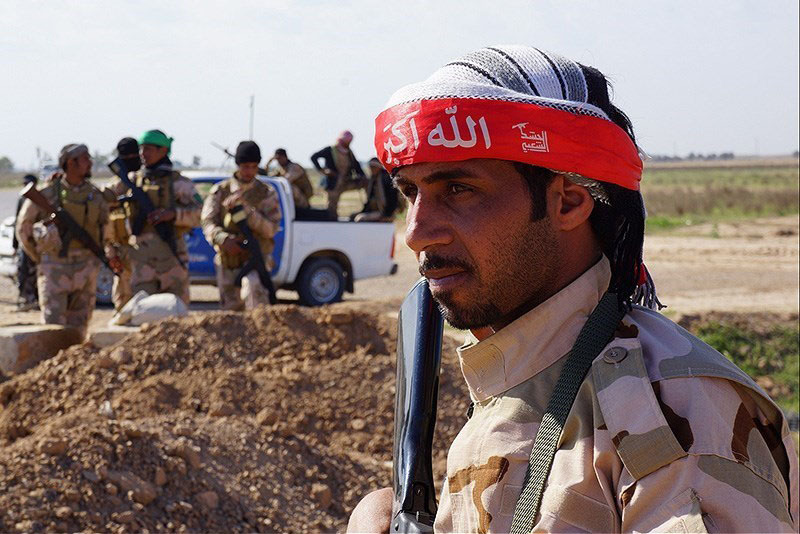 By deploying Unit 3800 to Iraq and supporting like-minded co-religionist militias there, Iran is able to project power under the guise of fighting the Islamic State – challenging parallel American efforts and entrenching its role in Iraq’s future. By allying Hezbollah Unit 3800 forces with Houthi (Zaidi Shia) rebels in Yemen, Iran is able to antagonize its rival, Saudi Arabia, on its southern flank where restive Shia populations on both sides of the border can be exploited. This undermines the beleaguered Yemeni government led by Sunni President-in-exile Abd-Rabbu Mansour Hadi as well as the House of Saud. In both the Iraqi and Yemeni cases, the number of experienced Hezbollah trainers and special operations “consultants” in-country are small in number and their role is advisory (especially in the case of Iraq), in contrast to the Syrian theatre of war, where Hezbollah units engage in regular direct combat with the enemy. Iran is finding the Lebanese Hezbollah model successful in exporting the core political ideology of the Islamic Republic – the Khomeneist “vilayat al-faqih” (guardianship of the jurisprudents) – whereby ultimate governmental authority resides with Islamic jurists. Recognizing the virtual hold over Lebanon it exerts via Hezbollah, Iran is now attempting to replicate the model in fractured states like Yemen and Iraq. Shia militias gain trust by establishing social/charitable networks and minimally crossing sectarian lines for enlistment; they fight autonomously and with impunity (see massacres of “liberated” Sunnis in Iraq) due to weak national armies; and eventually they enter politics to further Iranian interests. Kata’ib Hezbollah in Iraq and Hezbollah fi Suriya in Syria are prototypes of this duplication effort headed by the IRGC’s al-Quds Force and Lebanese Hezbollah. These replica militias have adopted flags and other imagery mirroring that of, and paying homage to, Lebanese Hezbollah. Notably, representatives of the Iraqi Popular Mobilization Forces (al-Hashd al-Sha’abi – an umbrella organization composed of mainly Shia Iraqi militias including Kata’ib Hezbollah) were recently in Beirut for a meeting at which they declared their intent to run in the upcoming Iraqi parliamentary elections in 2017. With the invaluable help of Hezbollah, Iranian officials are not greatly exaggerating when they say they are now in control of four Arab capitals – Baghdad, Beirut, Damascus, and Sana’a. Hezbollah has long tried to destabilize Bahrain, a Shia-majority island country that Iran considers its 14th province. The government of the Sunni al-Khalifa dynasty designated Hezbollah a terrorist entity in April 2016 after dismantling a terrorist network allegedly linked to Hezbollah and the IRGC earlier in the year. The government has since deported Lebanese nationals and told its citizens not to travel to Lebanon. In June 2016, the Bahraini government stripped a Shia cleric, Sheikh Isa Qassim, of his citizenship and outlawed the Shia opposition party al-Wefaq – moves that are part of an ongoing effort to quell unrest that began with nationwide protests in 2011 and is allegedly being exacerbated by Iran and Hezbollah. In the same month, a Bahraini court convicted eight individuals for creating an organization the government deemed the “Bahraini Hezbollah”. While Iranian statements called for armed resistance in retaliation for the government measures against Qassim and al-Wefaq, Hezbollah was slightly subtler in its condemnation, releasing a statement declaring that the move “pushes the Bahraini people to difficult choices which will have severe consequences for this corrupt dictatorial regime”. The Bahraini parliament squarely places blame on Hezbollah for recurring terrorist attacks on its territory, including a deadly April 2016 attack in the northern village of Karbabad, and called on the government to declare war against Iran and its proxy Hezbollah. According to the government sitting in Manama, Hezbollah trains Bahraini opposition elements in Lebanon, Iran, and Iraq, and with Iranian help provides weapons and financial and logistical support to Bahraini terrorist cells. Hezbollah and Iran consistently deny these allegations. Historically, Hezbollah’s legitimacy and credibility was based on its determined support for armed Palestinian resistance movements and the liberation of Palestinian lands. Through Unit 1800, it worked with organizations like Hamas, training Hamas fighters in Lebanon and Iran and helping to smuggle arms to the Palestinian terrorist organization to support its fight against Israel. The Syrian civil war strained ties between the two, with Hezbollah siding with Assad and Hamas initially with the rebellion. The repercussions of Hamas’s decision to part ways included the end of its headquarters in Damascus, a request by Hezbollah for Hamas to leave southern Lebanon, and a near complete cut-off of aid from Iran. Rumours even circulated that Hezbollah was fighting Hamas in the Battle of Qusayr in Syria in 2013. Hamas’s diplomatic flexibility in rebranding its Syria stance to one of neutrality coupled with individual efforts within Hamas to preserve and nurture contacts with Iran during the period of chilled relations allowed for a path towards rapprochement with Hezbollah and their mutual Iranian benefactor. While the political wing of Hamas led by Khaled Meshaal continues to flirt with the idea of replacing Iranian patronage with Sunni sponsorship from such countries as Saudi Arabia, Qatar, and Turkey, its on-the-ground leaders in Gaza – the Izzadin al-Qassam Brigade’s Mohammad Deif and Yahya Sinwar – are clearly within the Iranian camp. Hezbollah plays a liaison role in repairing relations. Qatar-based Meshaal is likely not running in the upcoming Hamas elections. Gaza meanwhile is in shambles, Hamas is in need of armaments that only Iran can provide, and recent clashes with Israel may lead to war. Thus, Hamas is almost certainly returning to the Iranian orbit and ties with Hezbollah will be fully restored. The Palestinian Authority, though at times it pays lip service to Hezbollah due to Hezbollah’s popularity with Palestinians, is on the Saudi side of what increasingly seems a binary choice for external backing. Palestinian Islamic Jihad, for its part, has rehabilitated relations with the Islamic Republic after a two-year hiatus. In August 2015, Palestinian Islamic Jihad’s terrorists fired rockets into Israel from the Syrian Golan Heights, likely under Iranian orders and possibly in retaliation for an Israeli strike on Hezbollah fighters in June of that year, demonstrating the potential for coordination between the two groups in Syria. Finally, Hamas is surprisingly allowing Al-Sabirin, a Shia militia fully endorsed by Iran and Hezbollah, to recruit, operate, and proselytize in the Sunni enclave of Gaza. Like Kata’ib Hezbollah and other Iranian proxies (e.g. Hezbollah Al-Hejaz and the Badr Organization), Al-Sabirin uses the flag of Lebanese Hezbollah and is being called the Palestinian Hezbollah. With around 400 fighters, the nascent group has claimed responsibility for multiple attacks against the IDF in the past two years, and has been targeted as a result. Hezbollah is truly at a crossroads. In some ways it is stronger and in some ways it is weaker than it was prior to its Syrian intervention. Hezbollah is now a Shia expeditionary force that fights at the behest of Iran, not for Lebanon and certainly not for Palestine. It is losing many of its fighters and popularity at home and abroad, but also proving resilient in the face of these challenges. Where Hezbollah’s future lies is highly dependent on the uncertain military and political outcome of the Syrian civil war. The organization’s future also depends on Iran’s economic recovery, its evolving foreign policy in a fluid and chaotic region, and whether war breaks out with Israel. Hezbollah’s trajectory hinges in large measure on Iran’s future and that of the “Resistance Axis” now working in sectarian fashion and with distinct resolve to preserve and expand Shia influence in the region. The rise of ISIS and other “taqfiri” global jihadist networks provides the ultimate pretext for Iran to adopt expansionist policies and project hard power well beyond its borders. Whether Saudi Arabia, other Gulf and Sunni Arab states, Israel, and the West can formulate a comprehensive strategy to contain Iran and Hezbollah remains to be seen. So far, disjointed and incoherent efforts are proving insufficient.